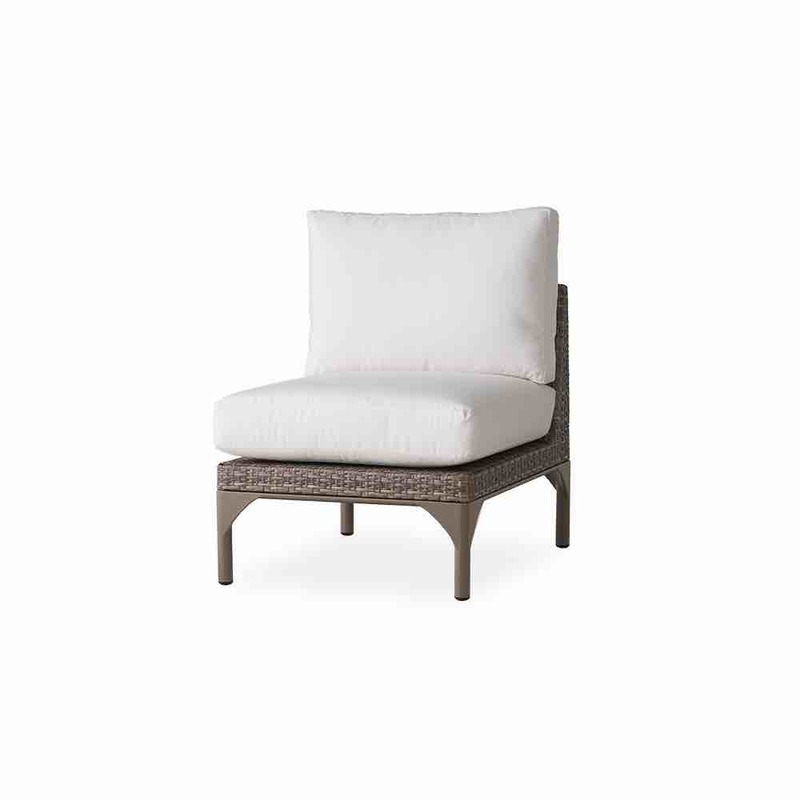 Martinique outdoor wicker armless sectional chair by Lloyd Flanders for your patio or inside your home. 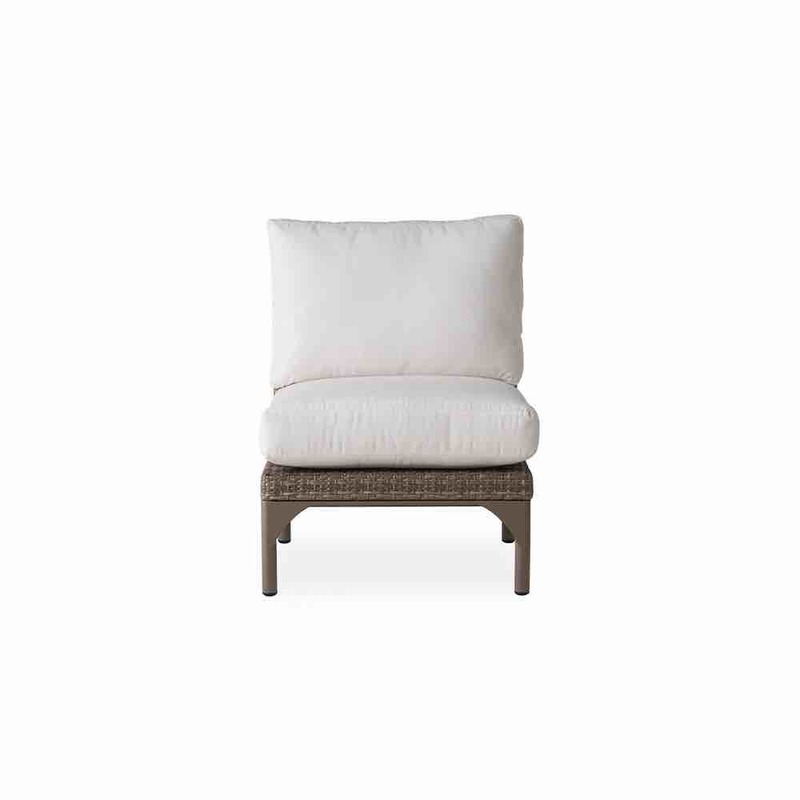 This deep seating wicker sectional chair is designed to be used with its companion Martinique sectional furniture. Modern styling with close weave design and luxurious cushions make this and excellent choice for your sectional wicker set Make your own wicker set by choosing other Martinique sectional furniture.